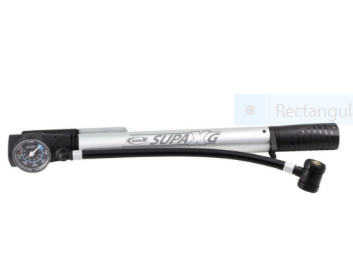 A good bicycle pump makes inflating a tire a piece of cake. Even if you never get a flat you will need to inflate your tires occasion- ally. It's amazing how much a few pounds under-inflated tires can effect your pedalling effeciency so you should definetly try to stay within the reccommended air pressure. It's a good idea to have a 12 volt air compressor at home (they are surprisingly affordable) but that won't help you if you get a flat on the road. So, you will need a pump if you do anything more that very occasional riding. The good news is many of these pumps are very small, light-weight, and economical. They typically mount right on the bike frame so it's no hassle to take it along. A word or caution though: Do not leave any pump on your bike unattended. Thieves like them way too much. Some small frame pumps even have a swiveling foot plate so they can be used as a floor pump. This pump will go to a maximum pressure of 120 psi and has a pivoting T handle for easier pumping. Another option is a mini pump with a CO2 cartridge. 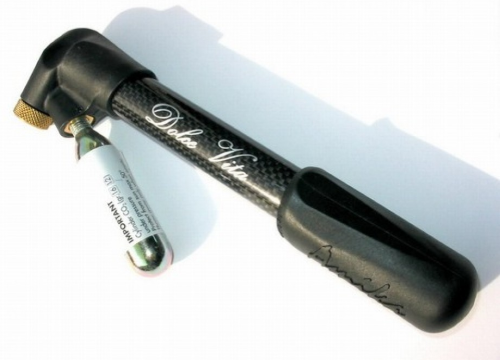 You do need to carry spare CO2 cartridges, which is no big problem, but it will only pump up to about 80 PSI. 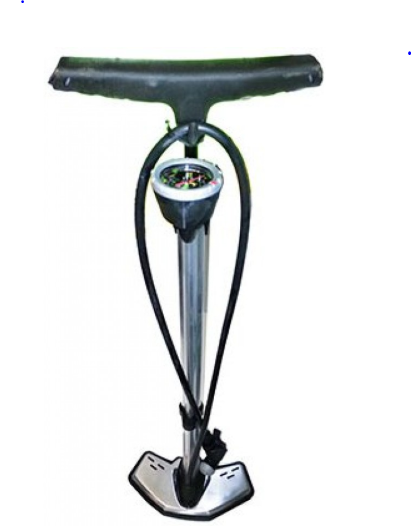 Floor pump designs have come a long way also and some of them have pretty clever designs with fold out foot pedals and built in air pressure gauges. The new designs are much easier to use than they were years ago and the built in air pressure gauge is a feature that I would definetly reccommend.